If you reached here looking for stock options trading tips from an advisory service provider, you have come at the wrong place. But I request you to please read this article, it will save you from a lot of hassle. 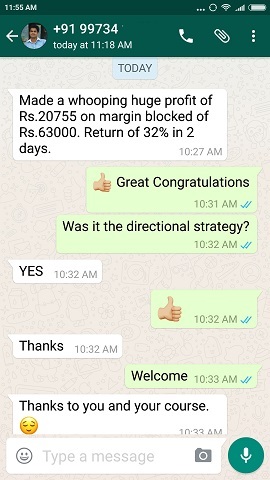 If you are in a hurry to know, I am a trader like you, but I do not provide advisory service on stock/nifty options or any other stock market related trading. Why? Because I trade them profitably, I do not need anyone’s help. People with knowledge make money in the stock markets, and who lose? Those who look for tips providers or those who speculate the markets. 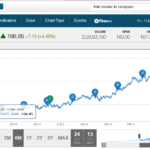 In my early stage of trading I was also one of the guys looking for stock option trading tips and paid a few companies to make money on the stock markets. The result? I lost money. 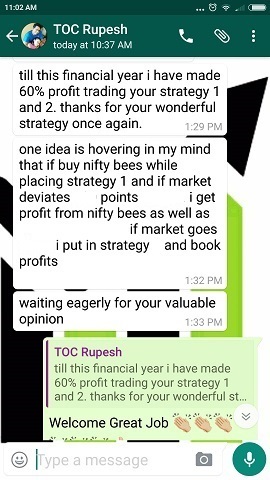 On the one had I paid them almost Rs.40,000/- in six months duration to give me some tips, on the other hand I was also losing money trading their tips. 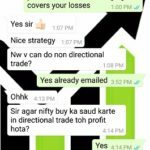 I lost almost Rs.700,000/- (seven lacs) trading their tips. How much worse can that get? However things have changed now and I am a happy option trader. 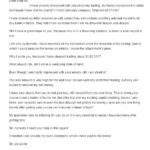 I offer a course a on trading options profitably, but my simple advise to you is this – even if you do not take my course – please do not pay anyone to get tips. They will not work and you will lose money – Guaranteed with a capital G.
These people will take money from you and put it in a fixed deposit in some bank. While you keep losing money, they are getting a guaranteed return of 6% or more on your money. Stop looking for them. They will not make you rich, rather you will make them rich. When I lost money trading their tips, you know what I did – I started trading EXACTLY OPPOSITE of what they were sending me as tips. So if they had a buy call on some stock, I would sell it. If they asked me to sell, I would buy it. Interestingly here too I lost money over a period of one month. And these were good reputed companies advertising their stuff all over the internet. So what did I learn from it? That they send us any random tip they want to send. Since stock markets are speculative game, there is a 50-50 chance that their tips will work. Over a period of time you will see that 50% of their tips hit the target and the rest hit stop loss. So your net income is loss because for every trade you pay a brokerage and also the fee to the tip providers. There is another problem. These people will send you an on-time SMS that may take a few seconds to reach. You will see that SMS, take time to understand it, call your broker or search for that security on your demat account online. You then look for the price they have sent only to discover that the stock or the option has moved away from that price and you will be unable to trade that stock, or the option price may have changed in the meantime. Same thing happens when you call your broker. Yes you may put a limit order, but who knows if your trade will go through. Intraday means you cannot miss that stock with even .1 point because you lose money. Usually for stocks profits are booked at 1% or less, 10 points for Nifty options. If you cannot get the trade with that exact price, you have already lost some money. Compound this with losses and you are losing more than you are making. You will then stop giving money to the advisory service provider. Other problems are there too. Sometimes you will find that there is no internet connection, or the broker site is down. 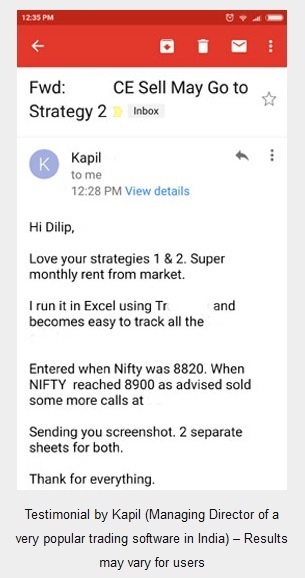 These people who send intraday stock tips usually send 5-6 trades a day. They advise you to trade all the trades they send. If you miss one trade, you will be scared to trade the other trades as that is what they have advised against. If Internet is down, you will call your broker. His phone may be busy – and your trade is gone. Believe me brokers are least bothered with your account. They want you to trade more often so that they can make money. Sometimes they will do mistakes and then reverse it immediately. Both the time there is a transaction and you will lose money on brokerage even if they reversed the trade at the same price. Note that reversing immediately is mostly losses because of the difference between ask and bid. Intraday stock trading means you have to leave your job and trade. I strongly advise against doing so. Do not leave your job. It is not easy to make money from the stock markets. If you try too hard, you will lose money – guaranteed. If you don’t have time to do full time Intraday trading I would suggest start putting money in installments in few good mutual fund or stocks. Do not buy in a bulk – that’s speculation – just buy a little amount every month. And more when the stock falls. Stock option tips providers will also sometimes play very cheeky and cheap tricks like price inflated/decreased of an option. When it reaches your mobile, you will think that option price may have reached there and you got the SMS late. In reality your tips providers are stealing a point or two to show profits. Some stock option trading tip providers send SMS before that option reaches that price. That is a good way of sending tips, but its my personal experience that you will still lose money as its hard to make money buying options. Sometimes in highly volatile stocks you will see that as soon you get a message to buy an option the target is hit and they send an SMS that the target is hit. You will not be able to trade that call. Now try calling them. These people have an amazing bad service. They never accept that they are bad tips providers. In fact on the contrary they will blame you for not being able to trade properly. You will feel very low, humiliated and stop trading their tips even if you have paid them for a month or more. Your money is lost plus you lost money trading their tips. You will be highly disturbed too. Your boss has given you a deadline and these SMS will keep coming and keep disturbing you. Will you trade or will you work in your office? On top of that since to get their services you have opted out of DND (do not disturb) service, you will also start getting unwanted unsolicited calls and messages on your mobile phone. After sometime your whole life will get so irritating to the point that you will stop trading altogether. You will lose interest in the stock markets. Unfortunately you have lost interest in one of the best ways to increase your wealth. You know what, this has happened to me, therefore I was able to write this article with so much precision. But I had no other place to go and make money – so I started learning about options. I will not elaborate my story here, you can read about that here. The point I want to make here is why you cannot learn to trade options? They are not something from the moon. Its easy to make money from them if you know how to trade them. I have been doing this regularly since 2011-12. I can teach you to trade options and make money. These are all easy trades. No these are not intraday trades, all are positional trades. You may have to trade only 2-4 times in a month and carry on with your job. These are all protected options means either you make limited profit or limited loss. You do not even have to predict the direction of the markets. You do not even have to monitor the trades every second. Just once a day is enough. You do not even need to know technical analysis. And you will still make money trading options. How much easier can it get? 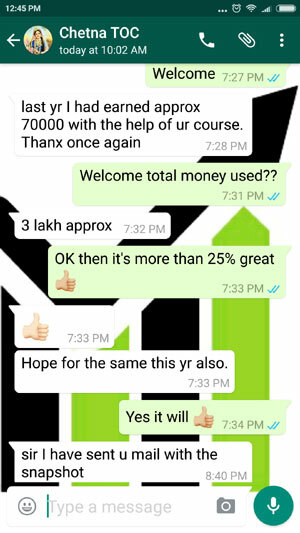 Learn stock option trading yourself, forget the tips provided by the advisory companies and be confident and make money. Excellent article. Eye opener for subscribers of tip providing services.